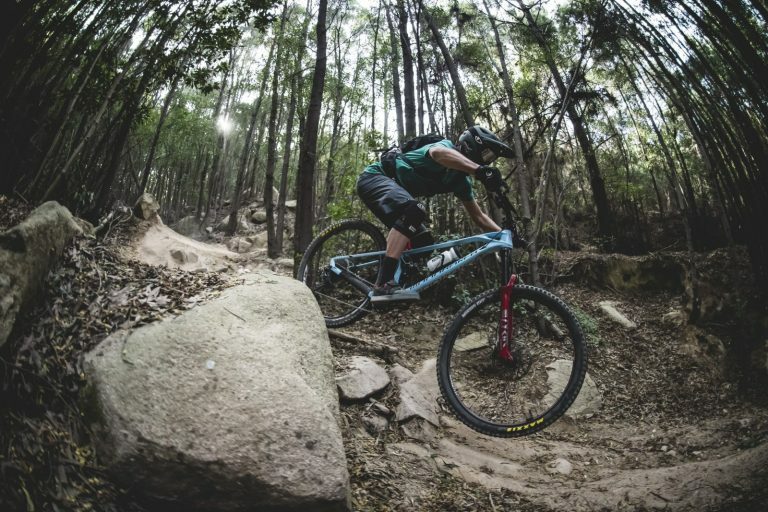 In addition to the new Rock Shox Lyrik, in Sintra (Portugal) we got a chance to experience a ride on the first Zipp MTB wheels, the 3Zero Moto. 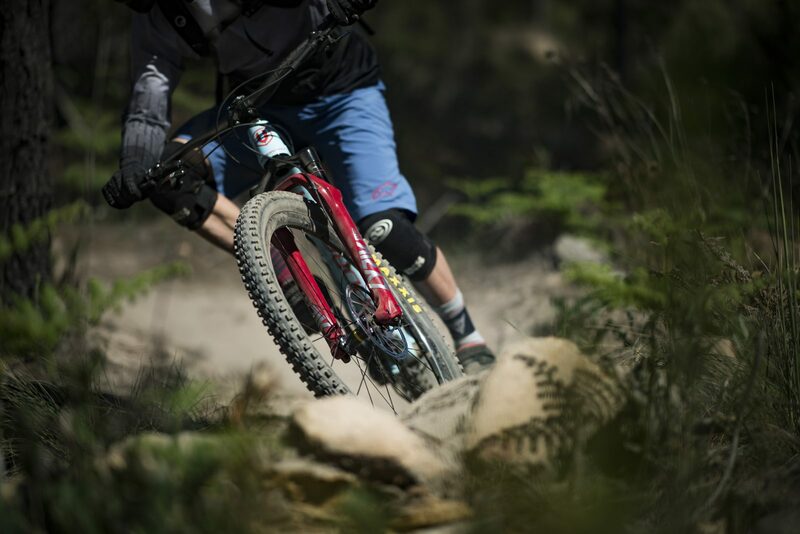 As the name implies, these are wheels with 30 mm inner diameter rims, which are designed for enduro and all mountain. Not for nothing have they been tested at length by Jerome Clementz. 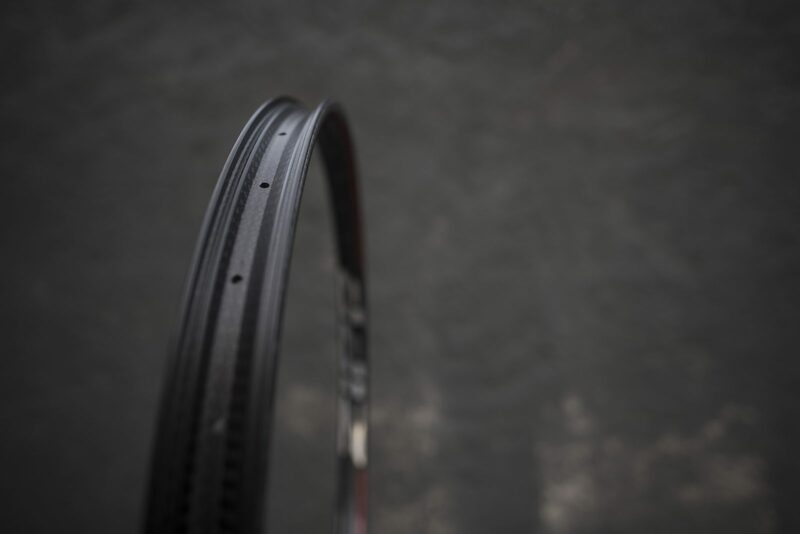 The second part of the name, Moto, was chosen for the true peculiarity of this product, namely the single wall rim, which is similar to a motocross rim in that sense, and without a double wall, it’s far different from anything in the MTB world. • TyreWiz, pressure control system (details here) • Factory installed tubeless valve • Factory installed tape • ZM1 hub Double Time Technology hub with 52 points of engagement • End caps: 15/110 front and 12/148 (Front wheel includes 21mm Standard and 31mm RockShox Torque Caps) • Also available as a rim only • Lifetime warranty • Diameter : 27.5 “and 29” • Set weight 29 “: 1.9kg • Price: 1.999$ for the set of wheels. 700$ each for the rims. I had anticipated that Zipp could go in the direction of a low-profile rim, which is why I brought the Mavic and not the Crank Brothers Synthesis, also because most of the carbon wheels have a high profile. So it was easier to feel the difference. Said difference was already exemplified the night before, during the presentation. While trying to “compress” a rim similar to the Mavic, with hands alone, they did not move a millimeter, while the Moto flexed. Now, I realize that this argument seems to go against everything we have always appreciated about carbon wheels, mostly for their rigidity, but let’s go step by step. 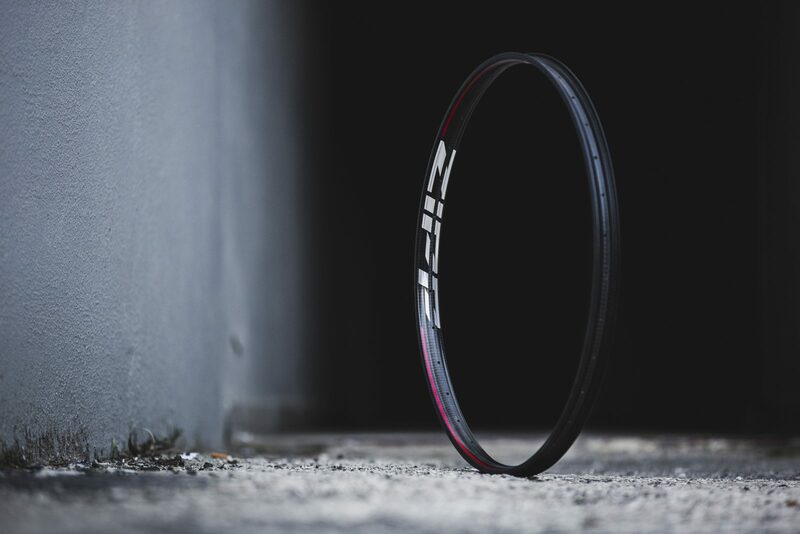 Zipp spent three years developing these wheels, working on the single wall of the rims until they found the right balance between rigidity and compliance. That is key to the project: smoothing the edges of the carbon wheels to offer one that is not too rough and brutal to ride. On the other hand, you can also see how the Zipp wall is thicker, since its single wall manages all the impacts that will go into it. 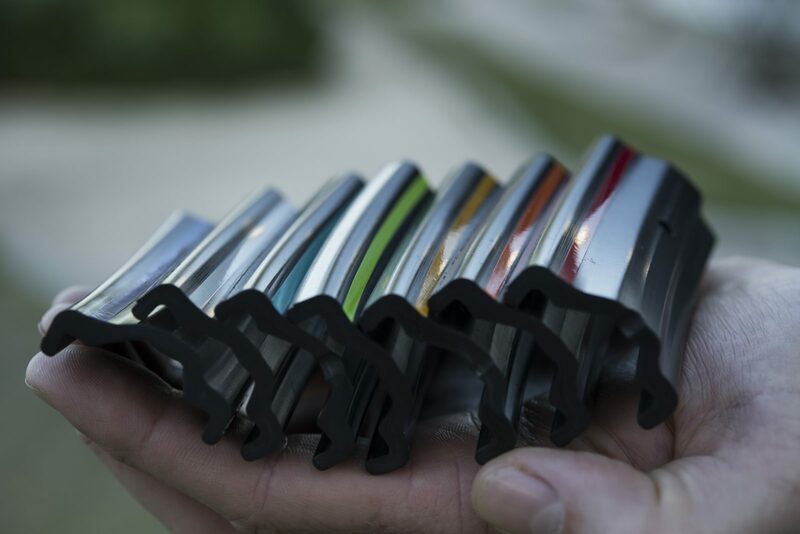 It is no coincidence that the weight stands at 1.9kg, in line with the competition. On the other hand, they are wheels designed for heavy duty use. For those who object that they weigh as much as aluminum wheels, I propose the standard answer that, for the same given weight, carbon is stronger than aluminum. 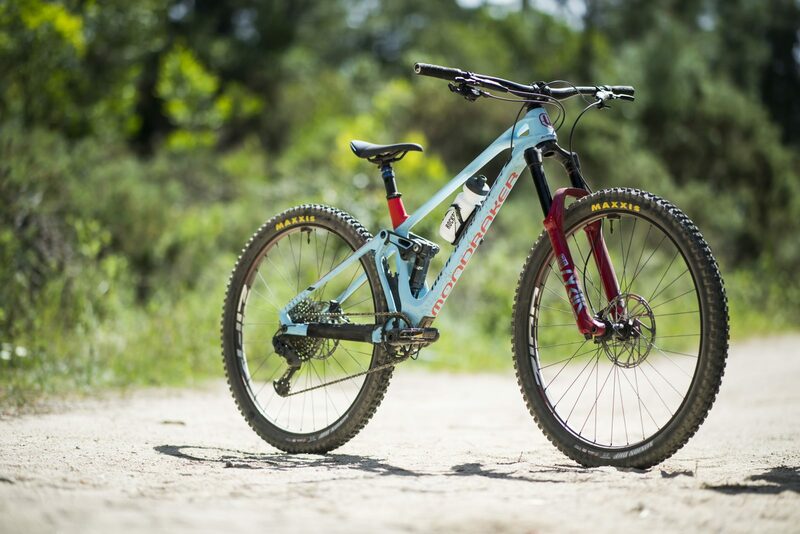 Last thing: the tires I rode were 2.5″ Maxxis Minion DHF EXO +. The pressure with which I carried out the A/B test was 1.6 bar at the front and 1.8 at the rear, quite high because with the Mavic I had made several different rock strikes on the test track. After 3 descents with the Mavic, and after carefully choosing the lines to pass through, I gave the bike to the mechanics that assembled the Zipps. It is said that the first impression is the most important, and this was very positive, especially in two harsh landings on rocks that were firmly stuck into the ground. Where the bike tended to ball up with the Mavic, it was a different story with the Zipps: I had much less difficulty controlling the bike because the impacts that reached the handlebar were more diffused. 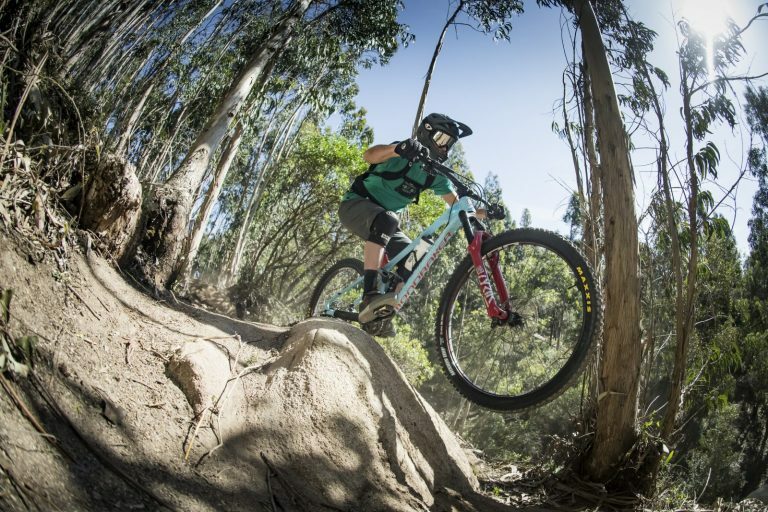 It is no wonder if you know how the hits are received by the bike: first they compress the tires and the wheels (including the spokes, which flex), and only after that do they pass to the fork and the shock. Immediately after the tires take a hit, they are already re-extending, without a controlled return. To learn more, click here. 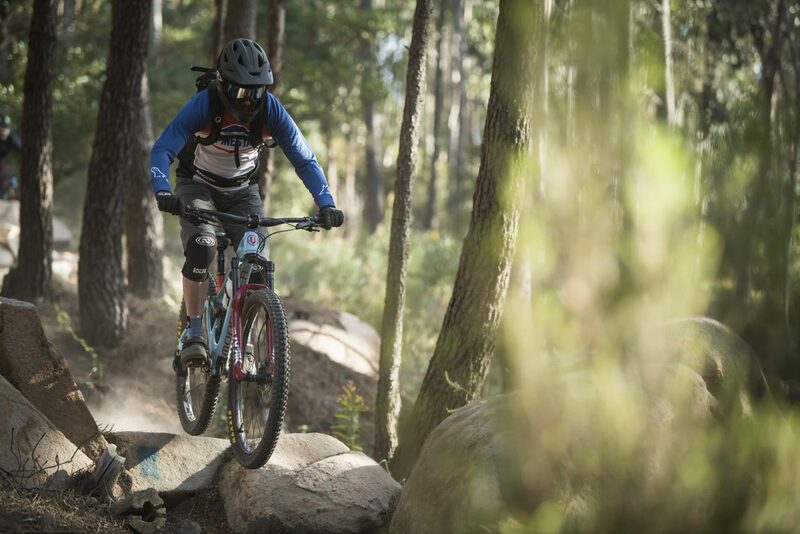 This meant that at the end of the descents my hands were far less tired, but above all I started to choose more direct lines without paying much attention to the obstacles in between, because I almost had a feeling of having more suspension travel. 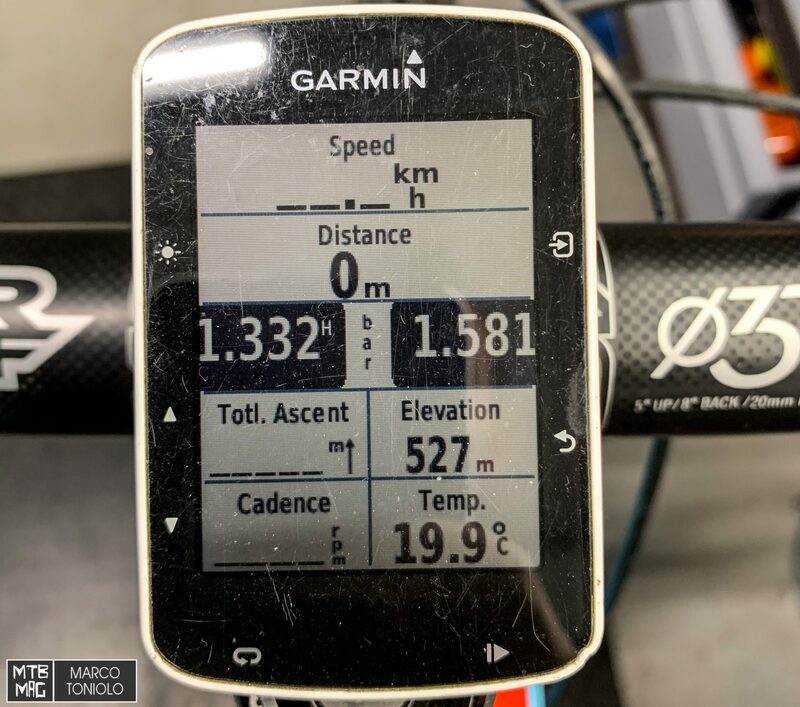 This became even more interesting when I started to eek down slowly with tire pressure, up to 1.3 bar in front and 1.5 behind, measures that I continued to use even on home trails. One note: controlling the pressure is a breeze with the Tyrewiz, since you can watch it directly from the Garmin or from the smartphone app. I was very skeptical that I might puncture the Maxxis Exo + at the back, which didn’t happen during the 10 days of testing, even at rather low pressures. 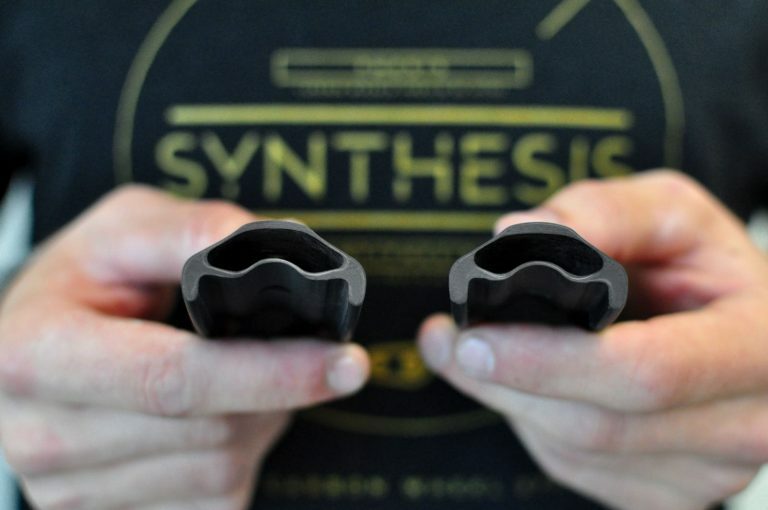 The Exo + should offer additional protection, but they do not have the Double Down casing. One explanation for this is that the rims “move”, pivoting on the spokes. They are free to tilt, just like on motorcycles (hence the name), and no longer strenuously oppose the blows coming from the ground, which is what happens with carbon rims that feature tall profiles. This means that it also becomes more difficult to pinch the tire. One might think that the price paid could be diminished acceleration and a lack of sprightliness in the turns but, regarding these two aspects, I could not notice penalizing differences. 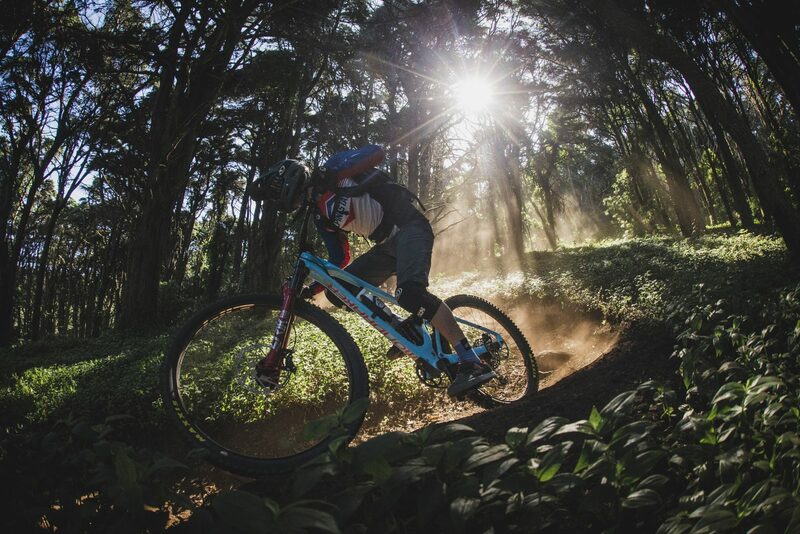 Let’s be clear, we are talking about enduro / all mountain, not XC, and a very generously sized tire. Combined with the new Lyrik Ultimate the Zipp 3Zero Moto gave the bike a very comfortable character, making it less tiring and raising the bar of what you feel able to tackle. I had validation on a very bumpy descent that I ride very often, where I beat my best time (and the KOM) precisely because the rocks didn’t throw me out of trajectory as they usually did. Also in that stretch I had already punctured several times in the past but, while turning to the pressures I mentioned above and with tires without a reinforced casing, I had no problem. Zipp enters the mountain bike market with a truly innovative product that turns the dogma of carbon wheels upside down: it is not the most rigid wheel that makes you go faster, but the one that acts as a filter between rider and impacts coming from the ground. The result is one of the true innovations of recent years and marks the beginning of the end of tall profiles mountain bike rims.